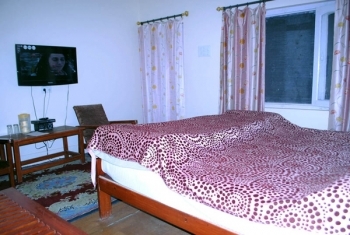 Bharat Residency is a budget hotel, which is just like a - A Home Away From Home. 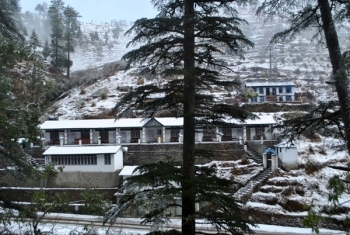 It is one the best hotel in Hotels in Jageshwar, which offers complete facilities, perks, amenities and conveniences. The hotel have personalised services with a strong accent on hygiene and luxury at affordable cost in Jageshwar. Hotel Bharat Residency is located just at the start of Jageshwar Dham, just 100 mts from the temple complex on the main road. Best part is Bharat Residency takes complete care of your culinary variety needs, in serving everything you may order – be it Indian, Regional, Chinese, Italian, or any other Continental Recipes. By Train: The nearest railway station is located in Kathgodam and Haldwani. You can get taxi to Jageshwar or shared jeeps and bus from both the cities.